"There are only three color references included with Curve2. What do we do if we use a different color reference?" First, thanks for the feedback, we read it, we like it, we use it. Second, I get to say Hey! that's already in there! Check page 13 of the manual. 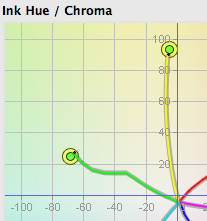 You will then see your additions in the pulldown menu for color references! New 27" FlexScan LCD from Eizo!